The Morphbank system at FSU has moved to the Sky server farm at the FSU Research Computing System and the Nolestor storage system. These new systems will keep Morphbank running into the future. The Filtered Push group have created a Morphbank plugin that extracts annotations from the Morphbank database and pushes them into the FP annotation services. From Tall Timbers Research Station, photographs and metadata for some 280 mammal skins are now in Morphbank. You can find this public dataset just by searching our Keywords field with the terms mammalia Tall Timbers. There are shrews, bats, flying squirrels, armadillos, rats, moles, and voles just to name a few. 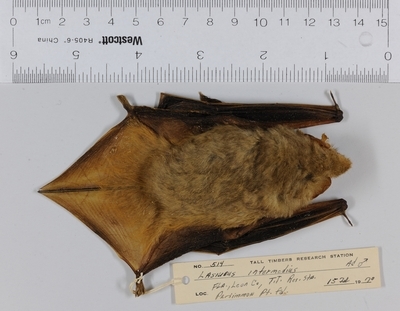 For more about the northern yellow bat seen here and vouchered at Tall Timbers, go to Lasiurus intermedius. In a joint effort involving the USMS Herbarium at the University of Southern Mississippi Department of Biological Sciences, the Deep South Plant Specimen Imaging Project, Specify and the Robert K. Godfrey Herbarium at the Florida State University Department of Biological Science, over 16,000 new images of specimens from the USMS Herbarium are now in Morphbank. 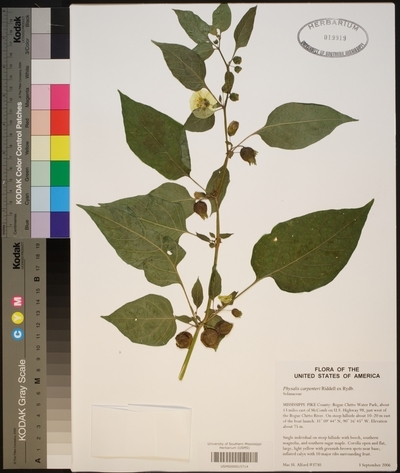 This latest contribution to Morphbank includes the 300,000th image uploaded: Physalis carpenteri. These newest specimen images range over 3800 distinct taxa and 45 states. This collaborative effort would not have been possible without a grant from the National Science Foundation. Tall Timbers Research Station and Land Consevancy (TTRSLC) is a biological research station and land trust located in Leon County, Florida just north of Tallahassee. TTRSLC maintains several important biological research collections, including a herbarium of nearly 11,000 specimens, a Lepidoptera collection representing about 1,000 species, and an ornithology collection of approximately 4,000 bird skins. 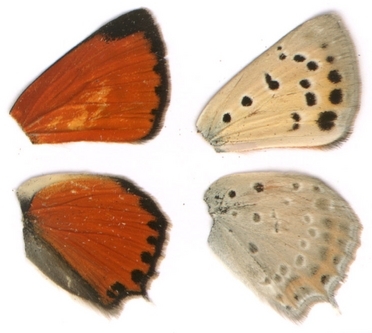 The Lepidoptera collection was collected largely by Lucian Harris and was used in producing Butterflies of Georgia, and the bird collection is the result of several decades of collections by Henry Stoddard in an effort to better understand bird migration. 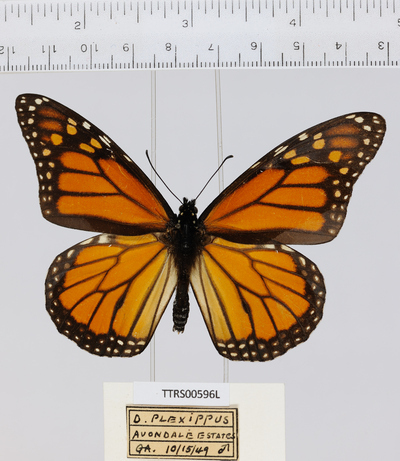 In 2010 Tall Timbers' Research Program was awarded a biological research collection grant from the National Science Foundation to image and database these collections, the data and images for the birds and butterflies to be served by Morphbank, and the botanical specimen data and images to be served by the Robert K. Godfrey Herbarium at Florida State University. To date several hundred butterfly images and associated data records have been completed and uploaded to Morphbank. Plans are to begin the bird imaging during summer 2011, with a goal of completing all bird, butterfly, and plant imaging by the end of July 2012. Seventy images of morphological characters used in the taxonomic revision of the North African species of genus Eupolybothrus (Chilopoda: Lithobiidae: Ethopolyinae) and in the identification key for all species in the genus have been uploaded in Morphbank. This represents the first set of images of all species in a centipede genus to appear in Morphbank. The paper is published in the special issue of the Pensoft’s Open Access journal ZooKeys ‘Taxonomy shifts up a gear: New publishing tools to accelerate biodiversity research’ (edited by L. Penev, D. Roberts, V. Smith, D. Agosti and T. Erwin) which is devoted to innovative ways of publishing of taxonomic information. It is simultaneously released in PDF, HTML and XML formats, and to comply with the current regulations of the International Commission of Zoological Nomenclature is also available as a full color hard copy. The HTML version (http://pensoftonline.net/zookeys/index.php/journal/article/view/504/448) shows a number of semantic enhancements, e.g. internal cross-linking between paper sections, citations, references, tables and figures; visualization of main tag elements within the text; taxon names linked through the Pensoft Taxon Profile (PTP) tool to large international database services and indexers, such as Global Biodiversity Information Facility, National Center for Biotechnology Information, Barcode of Life, Encyclopedia of Life, ZooBank, Wikipedia, Wikispecies, Wikimedia, and others; all localities mapped through Google Earth, etc. All revised taxa have been registered in ZooBank, while the images showing morphological characters were uploaded in Morphbank and EoL. The editorial and forum papers in the same issue (http://pensoftonline.net/zookeys/index.php/journal/article/view/543/479 / http://pensoftonline.net/zookeys/index.php/journal/article/view/538/469) explain in detail the principles, innovative technologies and tools that have been created or used for enhancement and archiving of taxonomic papers. Morphbank Welcomes Phylum Cnidaria (Corals and Anemones)! Nearly 400 images of in situ, intact specimen, dissection, histological, and host organisms used for identification of 30 Zoanthidea taxa have been added to Morphbank as electronic vouchers in support of the publication entitled Evolutionary transitions in symbioses: dramatic reductions in bathymetric and geographic ranges of Zoanthidea coincide with loss of symbioses with invertebrates released in the Early View (articles online in advance of print) of Molecular Ecology on May 24, 2010. 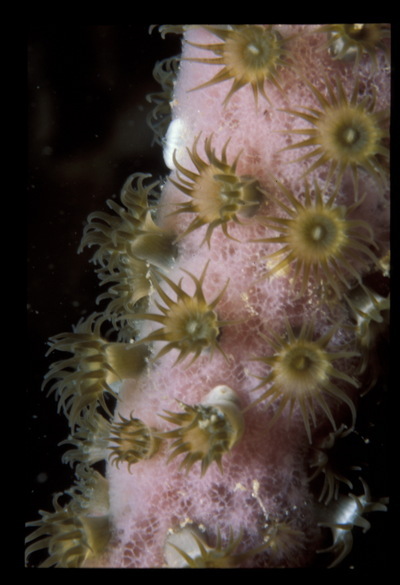 These collections of images are the first of any cnidarian submitted to Morphbank. The results indicate that the morphological characters that define the higher taxa of the non-brachycnemic Zoanthidea are homoplasious and the images are intended to both document the specimens and encourage the identification of phylogenetically informative morphological characters for these enigmatic taxa. From the Abstract...The endemic Australian genus Neodialineura Mann is revised to include 13 species. This revision serves as an empirical example for modernising the process of documenting global biodiversity by making taxonomic description and key development more efficient by avoiding redundancy in data handling and using digital media. Complete taxonomic descriptions were generated using online specimen and image databases, and a character matrix in Structured Descriptive Data (SDD) format developed in Lucid Builder to simultaneously generate natural language descriptions and an interactive key. 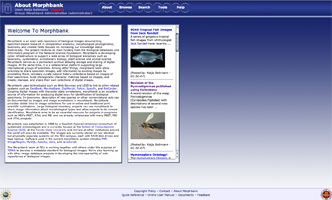 Numerous web resources are provided with taxonomic descriptions throughout the document including: a) links to archived images of all species on Morphbank, b) registration of authors, publications, taxon names and other nomenclatural acts in Zoobank, with assignment of Life Science Identifiers (LSIDs) for each, c) links to Genbank accession records for DNA sequences, and d) assignment of LSIDs to specimen records with links to respective records in an online Therevidae specimen database. Colour images of male and female specimens of all Neodialineura species are included, along with a traditional dichotomous key to species. 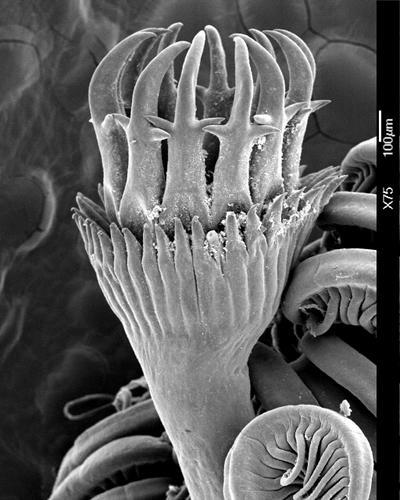 From the abstract, ...Members of the tubicolous polychaete families, Sabellidae and Serpulidae, constitute two of the most important groups in the marine fouling biota. 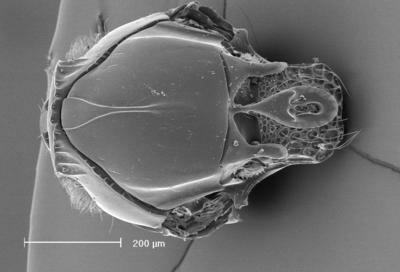 This paper describes three fouling sabellids and six serpulids from the southern Gulf of California and provides information about the reproductive biology of these species. The invasive species, Branchiomma bairdi and Ficopomatus miamiensis, are established in the southern Gulf of California as self-sustaining populations outside of their native range of the Caribbean Sea. Hull fouling is considered the most probable vector for the translocation of B. bairdi to the eastern Pacific, while the presence of F. miamiensis is most likely due to shrimp aquacultural activities. Hydroides elegans is probably an invasive species in the study area and is common as fouling on ships and piers in the Caribbean, Gulf of México, the Turkish Levantine coast, Hawaii and California. Hydroides brachyacanthus has been widely recorded in the Mexican Pacific. Demonax pallidus and Megalomma coloratum constitute new records for México. Hydroides elegans, H. recurvispina and Vermiliopsis multiannulata are new records for the Mazatlán port. Hydroides cruciger, H. brachyacanthus, H. elegans, H. recurvispina and Megalomma coloratum have separate sexes without sexual dimorphism. 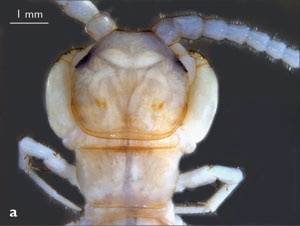 Branchiomma bairdi and D. pallidus are simultaneous hermaphrodites, although asexual reproduction via scissiparity is documented in B. bairdi. Sperm morphology (spherical nucleus, rounded or subtriangular cap-like acrosome and a long flagellum) suggests that the species recorded here are free-spawners with external fertilisation or ect-aquasperm type. This taxonomic effort is greatly enhanced by the integration of synonymies, characterisations and image collections with annotations archived in Morphbank. The latest version of Morphbank is almost ready for release at http://spider.morphbank.net. This version is live on the production database. Please send feedback with any issues that arise. You'll notice many new and many familiar features. The most obvious new feature is the search bar at the top of the home page. You may notice some decrease in load times. A new zoomable image browser has been installed. This is the "Bischen" browser developed by Seth Kaufman for the CollectiveAccess project. The fsi viewer remains available for now. Announcing publication of a new taxonomic monograph on micro-orbweaving spiders (Araneae: Theridiosomatidae, Mysmenidae, Anapidae, and Symphytognathidae) of the Gaoligong mountains, Yunnan, China (Miller et al., 2009a). This publication features several electronic enhancements including one involving both Google Earth and Morphbank. All primary biodiversity data (specimen, locality, and related information) from the monograph have been formatted in Keyhole Markup Language (KML), which can be read by Google Earth. The open access monograph features a live link to the KML file, which is published under its own DOI within the paper (Miller et al. 2009b, Penev et al. 2009). Within the interactive environment of Google Earth, users can click on placemarks representing any collection locality to reveal the specific data associated with that collection event plus a link to collections of images for each species on Morphbank. A hierarchical menu allows users to display or hide any family, genus, or species. All Collections in Morphbank associated with this publication can be quickly accessed here. Greetings everyone. Be on the lookout for updates to Morphbank. Anything unusual or weird is temporary and due to these alterations. Changes in progress for the next 2 days include: easier access for everyone to the My Manager user-interface & keyword searching and new options available from the header menu for logged-in users. For the first time, the general public gets access to the My Manager user-interface as well as the keyword-search capability. For logged-in users, getting to Taxon Search is quick and easy -- found now under Browse > Taxon Search as well as Tools > Submit > Taxon Name. In addition, a new tool, Name Query, appears under Help in the header menu. With this tool, would-be contributors to Morphbank can create a simple text file of taxon names and check to see if the taxon names are in Morphbank or not. This tool also reveals the parentage of each taxonomic name found. Enjoy the new look and new tools! 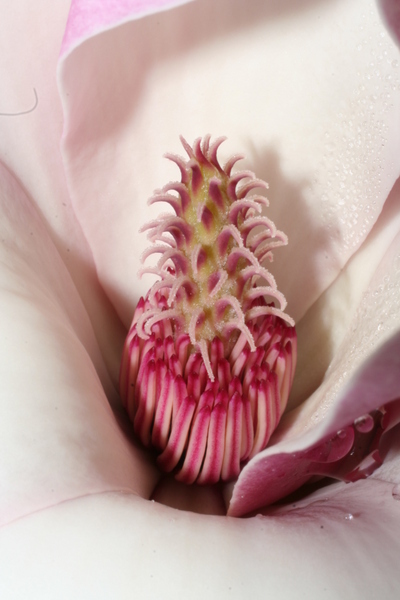 Morphbank Contributors, Steven J Baskauf and Bruce K Kirchoff have published a paper titled: Digital Plant Images as Specimens: Towards Standards for Photographing Living Plants in Vulpia 7:16-30. In conjunction with the paper, plant images uploaded to Morphbank are now in Morphbank collections that further illustrate the standard view concepts presented in the paper. 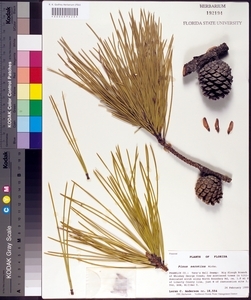 The abstract from the paper reads: Although specimens in natural history collections have traditionally been limited to physical objects, sets of images can serve many of the purposes of specimens if the images are collected in an appropriate manner. Image specimen sets should include standardized high resolution digital images of taxonomically important features of the organism, and the time, date, and location of image collection. Suggested image standards are presented here for woody and herbaceous angiosperms, gymnosperms, ferns, and cacti. Adoption of image standards will facilitate the creation of educational resources that can be made widely available through recently-developed electronic delivery methods such as the Internet and portable electronic devices. Morphbank appreciates the efforts of the authors to exemplify the concept and purpose of standard views for plant images. This article and the sample image collections in Morphbank have already been utilized by the PlantCollections project as they progress in setting imaging standards for photographing live plants in Botanical Gardens in the USA and around the world. 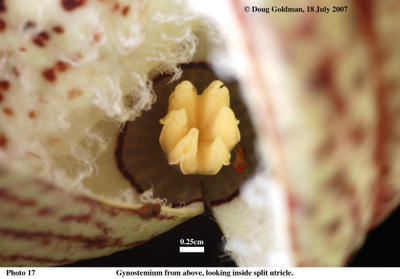 Douglas H. Goldman just published a paper titled Aristolochia schultzeana (ARISTOLOCHIACEAE) New To Ecuador, Journal of the Botanical Research Institute of Texas 2: 1337-1339. From the abstract: Aristolochia schultzeana is a rare, low-elevation, humid, pluvial forest species. It was previously known only from Colombia but is now reported for Ecuador. Beautiful detailed images of Aristolochia schultzeana in Morphbank document the occurrence. The Cypriniformes AToL(CToL)group uploaded 1136 Cypriniform fish images to Morphbank. A first for Morphbank, these images are being used to illustrate as well as define and delimit an ontology. 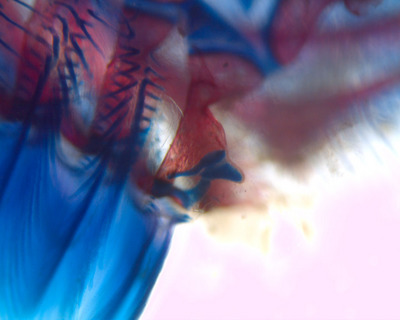 Each image is complete with links to the Teleost anatomy and development ontology (TAO)currently hosted at NCBOs BioPortal. Morphbank is excited about creating more interconnections like this very soon. Two Morphbank presentations by Greg Riccardi were presented at this years 2008 tdwg meeting. The first authored by Greg Riccardi, Austin Mast (Florida State University), Dan Miranker, and Ferner Cilloniz (University of Texas) described a method of linking images and ontologies realized as a combination of two systems: the Morphbank image and metadata repository (http://www.morphbank.net/) and the Morphster ontology illustration and management system (http://www.morphster.org/). Our formal treatment of images allowed us to create an image-driven ontology editor to enable domain experts to build ontologies as a part of the research process. 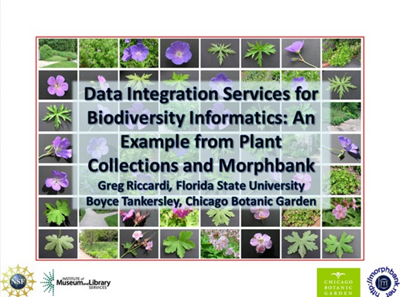 The second presentation authored by Greg Riccardi (Florida State University) and Boyce Tankersley (Chicago Botanic Garden) details an interoperable information system created that combines the Morphbank image repository, PlantCollections botanical information portal, and several collections management systems. Putting these systems together poses many challenges that are common in biodiversity informatics. Plans are in place to make the system compatible with the TDWG Access Protocol for Information Retrieval (TAPIR). 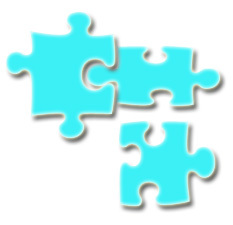 TAPIR compatibility will allow small repositories to be information providers and to allow consumers to feed back information to providers. 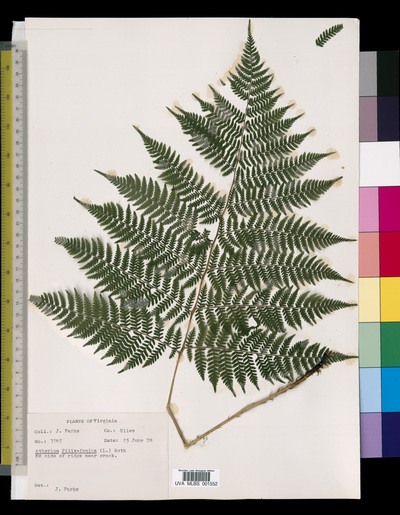 The Mountain Lake Biological Station (MLBS), located in the Appalachian Mountains of southwestern Virginia, is the first member of the SERNEC group to upload over 200 images of its Herbarium sheets to Morphbank. To see a few of the images, click to see Athyrium filix-femina. The Morphbank RSS services now carry longitude and latitude information. 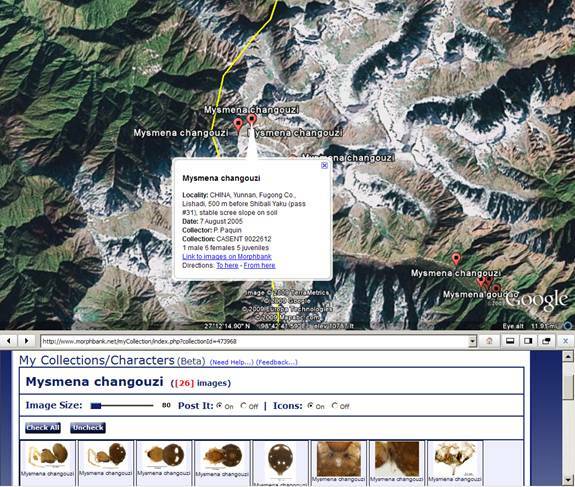 This Google Map sample represents an RSS feed that contains information about 100 geolocated specimens that were entered into Morphbank by Andrew Deans, of North Carolina State University. Chatzimanolis, S. 2008. A revision of the neotropical beetle genus Isanopus(Coleoptera: Staphylinidae: Staphylinini). Journal of Natural History 42(25-26): 1765-1792. This work is part of a larger collaborative NSF grant to revise the genera of the rove beetle tribe Staphylinini. From the University of Alaska Museum (UAM) of the North Herbarium, more than 90,000 images are now in Morphbank for everyone to enjoy. 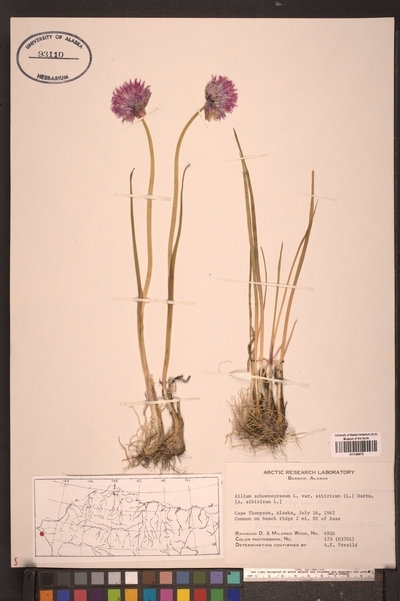 For a sample, see the Allium schoenoprasum in Alaska collection in Morphbank. All the Alaska Images and their corresponding Specimen records are linked to ARCTOS. The Herbarium specimens in ARCTOS are searchable and linked to Morphbank. See the following Specimen Search for UAM Herbarium records. The morphological phylogenetic analysis of relationships among oak gall wasps is documented by some 2,000 images deposited in Morphbank. In the character list in the Appendix of the paper, each character description is linked to a relevant collection of images in Morphbank documenting the scoring of that particular character. 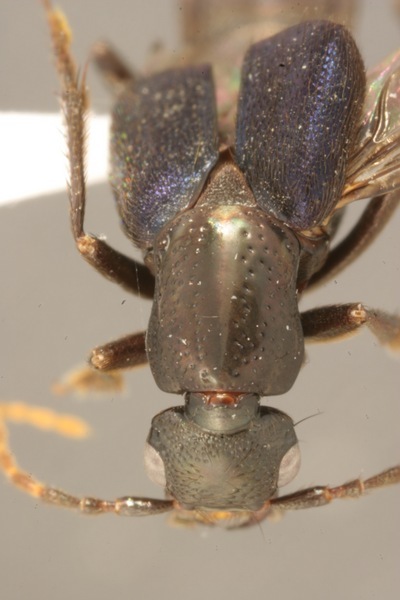 just appeared in Zootaxa 1796: 1â€“73 (June 16, 2008). Deans, Andrew & B.D. Ricardo Kawada. 2008. 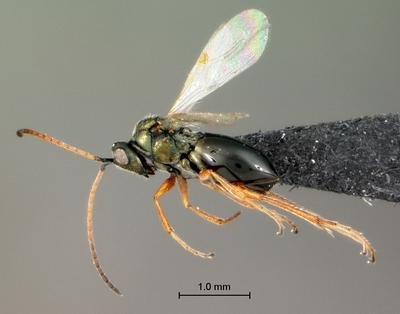 Alobevania, a new genus of neotropical ensign wasps (Hymenoptera: Evaniidae) with three new species: integrating taxonomy with the World Wide Web. Zootaxa 1787: 28-44. 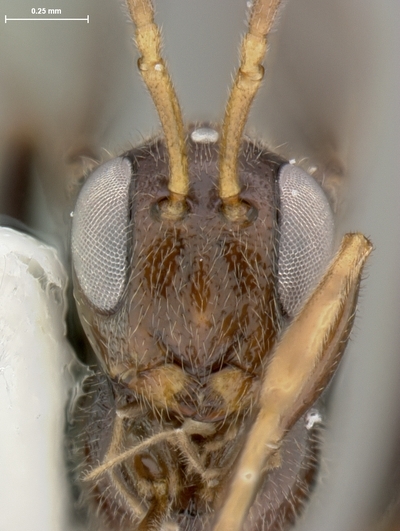 Name registration at ZooBank, annotations and collections of images archived on Morphbank, species pages and keys on Evanioidea Online, taxon pages at the Tree of Life, links to terms in the hymenoptera ontology and many others. 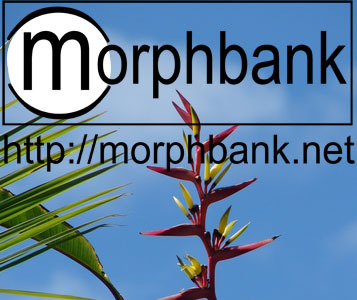 First our Web services address has changed from http://morphbank2.scs.fsu.edu:8080/mb to http://services.morphbank.net/mb2 We will maintain the Morphbank2 address until May 1st. Please let us know if you are using the service and have trouble making the May 1st deadline. Also if you would like to find out more about the data we are exposing please email us! We will be happy to help incorporate our services into your project. Secondly, sometime in the next few weeks Morphbank will upgrade our server hardware. This means the upload and edit functions are locked for around 24 hours and if all goes well nothing will be noticeably different. The target date to make the switch is Saturday April 12, 2007. Just prior to the switch we will send an email to the Morphbank users list. If you are not on the users list and would like to be please email mbadmin@scs.fsu.edu. Two Workshops at Morphbank on May 1 - 4. First, users of Morphbank will participate in a Usability Workshop. Participants in this workshop have the opportunity to take part in the Usability Study Morphbank is conducting. Data from this study will enhance the software user-interface. Also, all participants can work 1-on-1 with developers to get complex data sets into Morphbank using the available methods or the upcoming XML upload option. 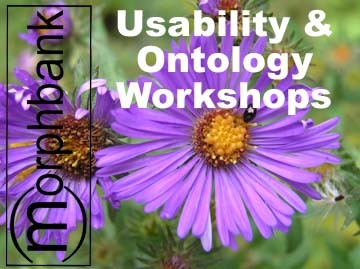 Next up, on May 3 - 4, is the Ontology Workshop. Participants will discuss ontologies, incorporation of ontologies within Morphbank and how Morphbank can be an image provider for existing ontology initiatives. Discussions will focus on real-life use-cases like the Spider AToL and the SCAMIT group. Pyle, R.L., J.L. Earle & B.D. Greene. 2008. 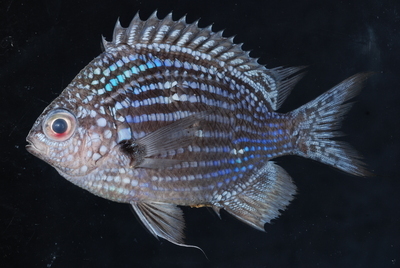 Five new species of the damselfish genus Chromis (Perciformes: Labroidei: Pomacentridae) from deep coral reefs in the tropical western Pacific. Zootaxa 1671: 3-31. Starting February 21st there are a few additions to version 2.7. 1. 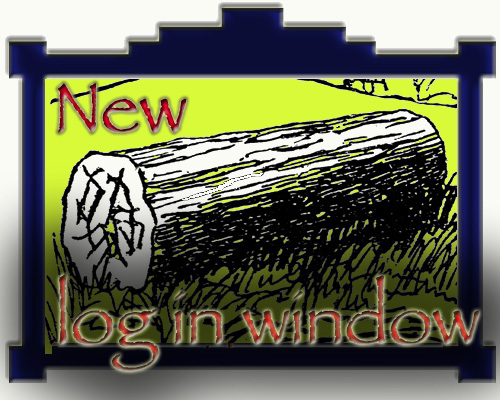 We are trying out a new kind of login that allows you to stay on the same page instead of switching to a different window to login. Click on the red â€˜Click to Loginâ€™ in the main Morphbank menu to test it out. The entire window will turn grey and you will be presented with a place to put in your username and password near the menu. You can always access the old login window from the Tools menu. 2. 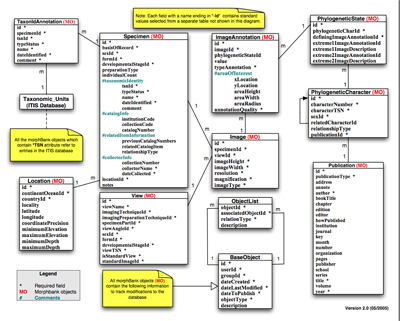 All objects are now edited from the MyManager. To edit an image, specimen, view or any other object just move to the Tools>MyManager. Once in the MyManager find the object you are looking for using the keyword search and click the edit icon right next to the image. 4. New to the Tools menu is the My Collection interface. Here you can browse your collections easily. 5. A new slideshow highlighting a few of the great images and projects in Morphbank. If you have any questions regarding the recent changes or find something unexpected please contact us to let us know . Thanks again! 1. This license (Attribution-Noncommercial-Share Alike 3.0 Creative Commons by-nc-sa) best reflects the copyright policy Morphbank users have already agreed to when uploading to Morphbank. 2. They are clear, well-accepted licenses that use legal language. Creative Commons is already a well-developed standard for Web distributed artwork including images, blogs, videos and music. 3. Morphbank is planning to be an active participant (image repository) in the Encyclopedia of Life project. Adding clear copyright information to the images is necessary to participate. 4. There are a variety of licenses for users to choose from. We plan on using as the Morphbank default: Attribution-Noncommercial-Share Alike 3.0 license. Basically the by-nc-sa license allows the use of the image for noncommercial purposes as long as the copyright holder is given explicit credit for that image. Also any resulting works using that image must also be shared freely under a similar license. 5.These licenses are non-exclusive. Which means that your image on Morphbank may be under this non-commercial license but you are still able to give/sell your images to a commercial endeavor without having to change the license on your Morphbank image. You retain the rights to your images and can do whatever you want with them. If you would prefer a different Creative Commons license to be added to all of your images please email us and let us know. 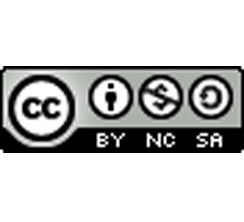 Creative Commons has a license builder that is helpful in choosing a license. Please let us know if you have any questions about this license or any other Creative Commons licenses. It will be February, 2008 before we apply these licenses to give you a change to review them. Also at anytime we will gladly change your applied license until the user interface is complete where you will be able to do this yourself. Next week (December 9-12, 2007) at the 55th Annual Entomological Society of America meeting Morphbank is participating in the symposium From Field to Screen: Digital Imaging Technology in Entomology The symposium organizers Matt Buffington and Katja Seltmann see the symposium as a showcase of many of the diverse uses of images in the field. 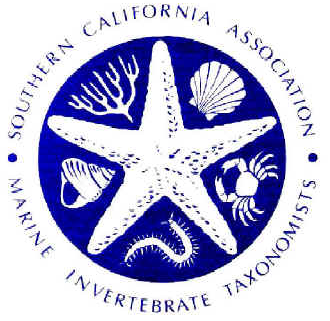 On December 13 Morphbank will be giving a workshop at the Southern California Association Marine Invertebrate Taxonomists (SCAMIT) meeting. The workshop will include an introduction to Morphbank before lunch and a hands-on workshop for members with digital images of specimens to submit in the afternoon. There is room for others if you wish to participate. 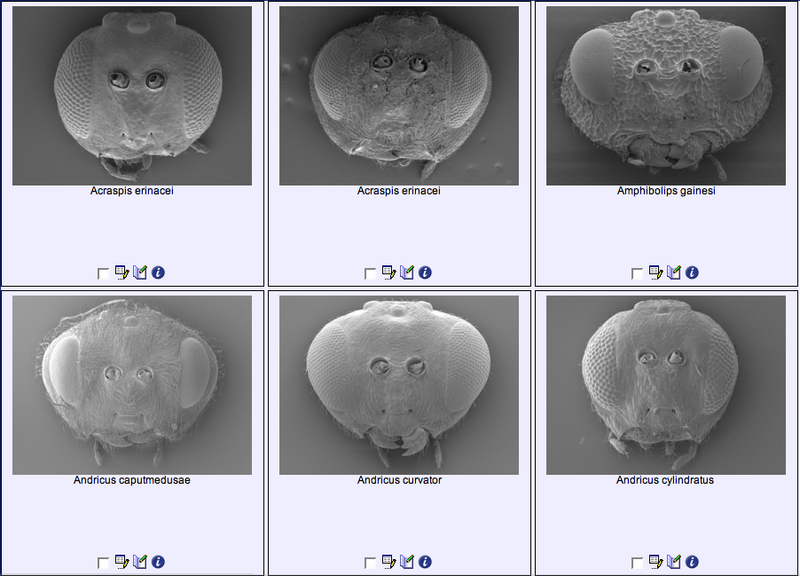 The first mollusk images have just been uploaded to Morphbank. Thanks to Paul Valentich-Scott from the Santa Barbara Museum of Natural History for making these images available. 6. and many, many more! Over the next few days please let us know if you find anything 'strange' happening. We are checking the software carefully to make sure the release went well. Also the manual is being revised and may not reflect the present release for the next week. In the interm please call the Morphbank office if you need help or a tour of the new system: 850-644-6366. 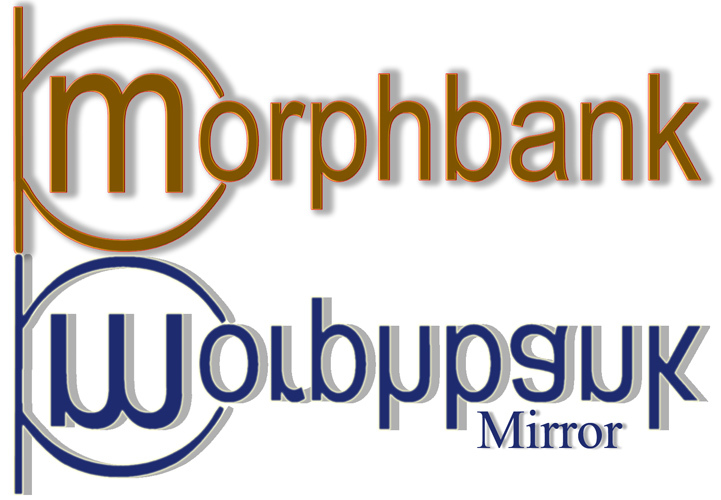 Let us know if you would like to mirror your images, or any public images in morphbank. There are a lot of advantages to being a mirror and all you need is ftp access. This can be a student university account, commercial server, part of a university or museum project, or any option in between. As a mirror you will retain copies of the images you use the most close to you, so the high-resolution images serve up much faster. Also having multiple copies in the system means that there are many more backups of all the deposited images in morphbank. Email us for more information. Many thanks to the Florida Museum of Natural History for being the first test case for our mirroring strategy! 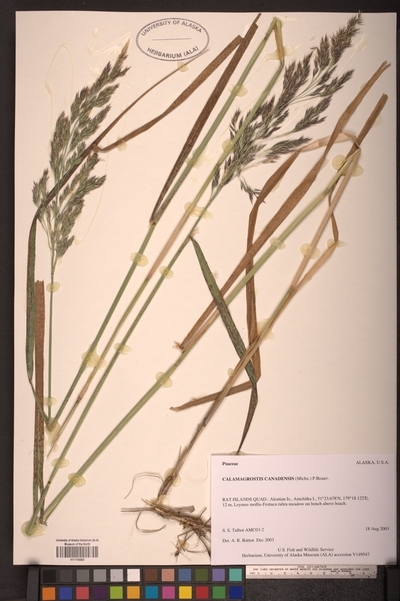 The University of Alaska Museum of the North Herbarium (ALA) is contributing images to Morphbank. The first set of images is uploaded and covers some Alaska grasses (Poaceae) in the genera Arctagrostis and Calamagrostis. Check them out and watch for more images soon! In a celebration of National Pollinator Week this Tuesday June 26, 2007 Morphbank will be at the Mary Brogan Museum of Art and Science. 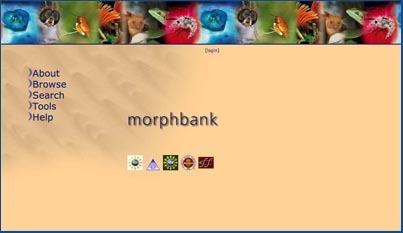 The public can use the system to explore biodiversity though images of organisms deposited in Morphbank. The Mary Brogan Museum of Art and Science is a Tallahassee museum dedicated to the arts, science and technology; creating connections that educate and inspire. To visit and participate in the online activites visit our collaborative interface at marybrogan.morphbank.net. Dr. David Houle has developed a semi-automated system for measuring the wings of Drosophilid flies. The process generates images of every wing measured. 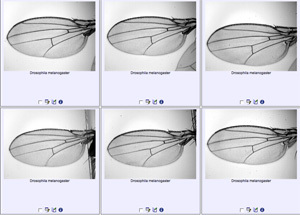 In 2004 he put 30,000 images of Drosophila melanogaster wings on Morphbank during the initial phase of the Website. In 2006 Dr. Houle was contacted by researchers from the University of California, Los Angeles Center for Computational Biology who noticed this large selection of images drawn from populations of a single species. These data are useful to them as a test data set to develop methods of image analysis that takes genetics into account. They are funded by NIH's roadmap initiative and invited Dr. Houle to apply for a 'driving biological problem' grant through their center to facilitate a collaboration focused on my data. 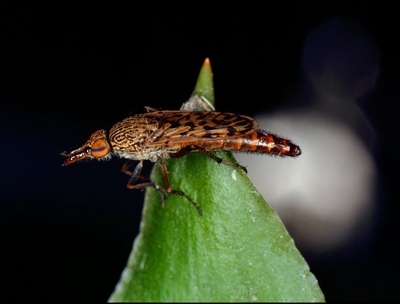 He then recruited other Florida State University faculty Wu-Min Deng, Washington Mio and Xiuwen Liu, to generate a new wing data set that focuses on the effects of specific mutations, as well as on techniques to measure other parts of the fly. This project was funded by the UCLA center, and work will begin in summer 2007. With this release Morphbank allows users to add & edit publications, edit taxon names besides improved annotation capabilities. It also provides ITIS to download new taxon names in Morphbank which will be reviewed and added to ITIS database. Another interesting feature is that Morphbank mirror hosting has been made possible with the new version. Minor changes in usage, layout etc. have been included based on user feedback. 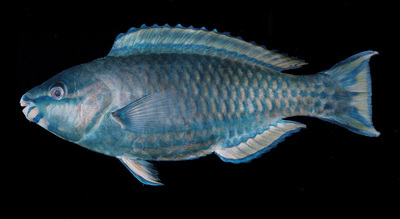 A series of gorgeous tropical fish images from ichthyologist Jack Randall have recently been uploaded to Morphbank. Many thanks to Richard Pyle and the Bishop Museum for supplying the images and data for this unique image collection. These images are public so you do not need to be logged in to see them. 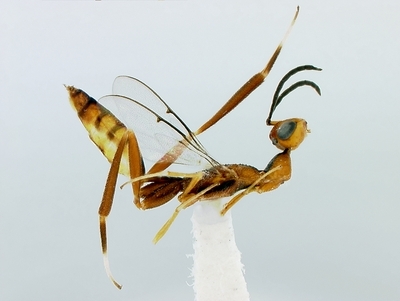 A world revision of the wasp Pycnostigminae (Cynipoidea:Figitidae) with descriptions of several new species has been published with links to image collections in Morphbank. The article by Matthew Buffington and Simon Van Noort is published in Zootaxa and is the first to use the Collection tool linked to a journal publication. The Hymenoptera Glossary is an initial product of an ongoing effort by the hymenoptera community to build an ontology (an explicit, controlled vocabulary of morphological terms) relating to Hymenoptera. The ontology is fully accessible and editable through the web, and interested parties are encouraged to look at the Hymenoptera Ontology website and Wiki to get involved in its development. The ontology builder is mx, a web-based content management system for evolutionary systematists, which links to images deposited in Morphbank. An initial version of the Hymenoptera Ontology will be approved by the members of the International Society of Hymenopterists and made available in a format that allows incorporation into Morphbank and other databasing projects. is now online augmented with images from Morphbank. Images in the key are maintained in the Morphbank database and link back to image, annotation and collection records. This key created by Eric E. Grissell and Michael E. Schauff to the families of Chalcidoidea was first published in 1990 by the Entomological Society of Washington and remains a widely used tool for chalcid wasp identification. Dr Michael Gates at the USDA-ARS Systematic Entomology Laboratory and Katja Seltmann from morphbank placed this valuable key online and are continuing to add full color images. Hosted by the Hymenoptera Assembling the Tree of Life Project. Links to a new Online Users Manual and protocol for good imaging practices, ENBI--Digital Imaging of Biological Type Specimens, have been added to assist in using Morphbank and in imaging specimens. The Morphbank Online Users Manual is constantly updated as new versions of Morphbank become live and the software develops. This reference helps answer some of the most common questions users have found while working with the Morphbank system. The second link is for the extremely valuable imaging resource. Digital Imaging of Biological Type Specimens: A Manual of Best Practice, edited by C Hauser, A Steiner, J Holstein and Malcolm J Scoble. This manual is the result from the study of the European Network for Biodiversity Information conducted in 2005 and is available for download from the group collaboration services of GBIF. An excellent reference for anyone interested in specimen imaging techniques. Almost 13,000 images of plant specimens are now deposited in Morphbank. Specimens representing more than 200 species from the FSU Robert K. Godfrey Herbarium include links maintained between the original records at the herbarium and the Morphbank records. Using links allows determination annotations made on Morphbank records easily viewed by visitors to the Godfrey Herbarium. Morphbank has additional features that allow users to create image collections, annotations, add external links to GenBank, Google or other databases, add taxonomic names and edit records owned by the Morphbank user. A FSI Viewer has been incorporated into Morphbank to allow users to dramatically zoom, rotate and select portions of an image. MyCollection: Users can browse images to create collections and manage (delete, publish) them using the Collection Manager. Once a collection is created, users can sort, label, view information, view images in FSI Viewer and annotate the collection or its contents. A published collection can be viewed by anyone and can be copied to a new or another one but cannot be modified. Annotation: Users can comment images using this tool. This includes the ability to add arrows on images, and put comments on the point of interest. They can agree/disagree on a current determination or add a new determination. External Links: Users now have the capability to link to other databases, Specimen sequence data, etc. They can be added while uploading Specimen, Image, or Locality etc. Links can be added to existing Morphbank records using the Edit feature. Edit: Users now have the ability to correct errors, add/update external links and change determination on existing specimens. Add Taxonomic Name: Users can add names to the taxonomic hierarchy based on their privileges. Morphbank is now a LinkOut provider for the Entrez Nucleotide and Taxonomy databases. Sequence data submitted to GenBank may now be linked to the voucher images on morphbank adding to the richness of this data. These links are found on the GenBank report page for every sequence that has a corresponding voucher image on Morphbank. If you are interested in linking your image vouchers and sequences please contact Morphbank at mbadmin at scs dot fsu dot edu. The Morphbank project was recently awarded a $2.25 M three-year grant from the National Science Foundation. The grant will support a range of efforts including development of user interfaces, annotation tools, mirroring technology and integration with other web resources. Other planned activities include workshops for users and developers. Draft versions of the new database schema and table descriptions for the morphbank system can be viewed here. Among other things, the new schema follows established standards, such as Darwin Core version 2.0 for specimen data, allows image annotation, and provides for validation of taxonomic names by integration with ITIS. Comments are appreciated and can be mailed to mbadmin at scs dot fsu dot edu. About 2,000 images of butterflies recently contributed by Dr Martin Wiemers (Univ.of Bonn, Germany) document sequended specimens. A clickable link takes you directly from morphbank to the GenBank sequence(s) of the imaged specimen. See example here. Dr. David Houle and his group at Florida State Univ. 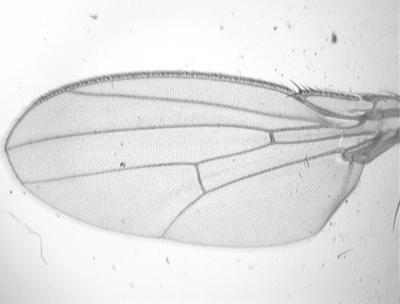 are contributing large sets of images of Drosophila wings to document their research on the genetic control of wing venation. See example here. Buffington, Matthew. 2004. 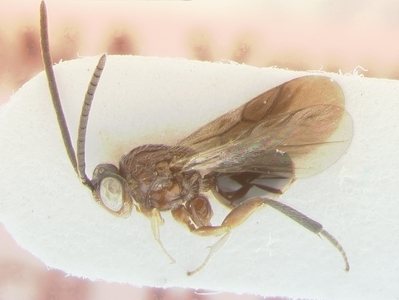 The description of Preseucoela Buffington, new genus, with notes on the status of Nearctic species of Agrostocynips Diaz (Hymenoptera: Figitidae: Eucoilinae). Zootaxa. 408: 1-11.